Are mutual funds part of your portfolio? As you begin your mid-summer investment review in preparation for year-end, think about how your funds can affect your federal income taxes. Dividend income. The dividends you receive from mutual funds held in nonretirement accounts are included in the calculation of net investment income. When your 2015 modified adjusted gross income exceeds $250,000 ($200,000 when you’re single), a portion of your net investment income will be taxed at a rate of 3.8% over and above your ordinary tax liability. Planning tip. The tax form the mutual fund company sends you at the beginning of 2016 may classify some dividends as “qualified” – meaning they meet the requirements for a lower tax rate. However, you have to own the mutual fund shares for more than 60 days to get the lower rate on your federal return. Capital gains. Mutual funds generally distribute short-term and long-term capital gains from in-fund sales to shareholders. Even if you reinvest the distributions in additional shares instead of opting for cash, the gain remains taxable to you. Short-term distributions, for sales of fund investments held one year or less, are taxable at your ordinary income tax rate. The tax rate for long-term capital gains may be as high as 20%, depending on your adjusted gross income. You might also have a capital gain or loss when you sell shares of a mutual fund. That’s true even if you “exchange” one fund for another and receive no proceeds. Planning tip. 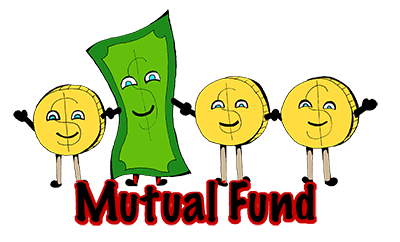 You have options for calculating the cost of mutual fund shares you sell during the year. Remember to include reinvested distributions in your basis. Please call for more information. We’re happy to help you manage your investments with an eye toward tax savings.